ANN ARBOR, Mich., October 3, 2018 – GreenMark Biomedical Inc. today announced it secured funding for its patented dental technology that identifies “pre-cavities” which can be treated non-invasively before becoming cavities. This will have major implications for the treatment of tooth decay prior to the need for surgical treatment, resulting in improved oral health outcomes for patients. In September 2018, GreenMark closed a priced Series Seed Preferred financing round resulting in gross proceeds to the company of $610,000. The financing round was led by BlueWater Angel Investment Network (BWA) of Saginaw, Michigan, and the Biosciences Research & Commercialization Center (BRCC) of Kalamazoo, Michigan, participated in the round as announced in June. GreenMark is now pleased to announce that Invest Detroit’s First Capital Fund also participated in the round. “We are excited to support GreenMark in the development and commercialization of its dental diagnostic and treatment products using natural starch-based nanoparticles,” said Patricia Glaza, VP and managing director, ID Ventures. The NIH support through MPWRM provides additional financial resources and complements the team we previously assembled for our dental diagnostic product. It is a tremendous vote of confidence for our non-invasive treatment strategy. Chairman and CEO GreenMark Biomedical Inc.
GreenMark, U-M and Poznan University of Medical Sciences, of Poznan, Poland, are pleased to announce the execution of an exclusive worldwide license to a number of pending U.S. and foreign patent applications relating to the detection and treatment of dental caries and microcavities with targeted nanoparticles. The license will enhance the company’s expanding intellectual property portfolio. “This is a strong technology that will enable global commercialization of GreenMark’s diagnostic and treatment products,” said Prof. Joerg Lahann, director of the U-M Biointerfaces Institute and one of the co-inventors of the technology. GreenMark is a minimally invasive healthcare company founded in 2016 developing technologies that involve small biopolymer particles produced from food-grade starch. The company’s first diagnostic product is to be used by dental professionals as part of the routine dental exam to better detect, assess and monitor non-invasive treatment of Dental Caries (tooth decay), the world’s most prevalent chronic disease. 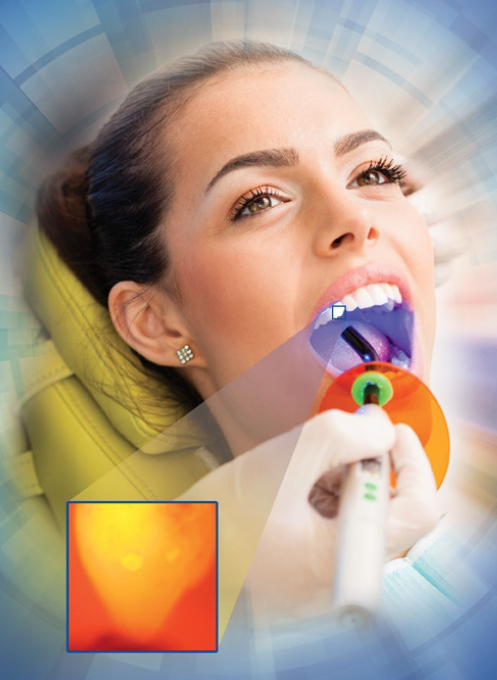 The diagnostic product contains fluorescently labeled starch particles that target active cavities and illuminate them using a standard curing light found in every dental practice. At early stages before cavitation, non-surgical management options can be used, thus avoiding the dental drill, resulting in improved long-term oral health outcomes for patients. GreenMark Biomedical Inc. has an office located at 325 E. Grand River Avenue, Suite 314, East Lansing, MI 48823 and lab facilities at 1600 Huron Parkway, Building 520, 2nd Floor, Ann Arbor, MI 48109. Contact: [email protected] or (517) 896-3665. See http://greenmark.bio/. About ID Ventures/First Capital Fund: ID Ventures, the venture team of Invest Detroit, supports promising Michigan-based, high-tech startups through investment capital and programs that strengthen the startup ecosystem. As a collaborative investor and community partner, their approach is to provide inclusive access to resources for Michigan entrepreneurs with high-growth potential. Their First Capital Fund is an early seed investment fund serving emerging and newly formed technology companies in Michigan. The fund provides capital at the earliest stages of commercialization and is focused on helping companies achieve follow-on funding from angel or venture investors within 12 months. About the National Institutes of Health (NIH): NIH, the nation's medical research agency, includes 27 institutes and centers and is a component of the U.S. Department of Health and Human Services. NIH is the primary federal agency conducting and supporting basic, clinical and translational medical research and is investigating the causes, treatments and cures for both common and rare diseases. For more information about NIH and its programs, visit www.nih.gov. The National Institute of Dental and Craniofacial Research (NIDCR), part of NIH, is the nation’s leading funder of research on oral, dental and craniofacial health. To learn more about NIDCR, please visit http://www.nidcr.nih.gov. About MPWRM Resource Center: The translation of innovative tissue engineering/regenerative medicine technologies requires a new approach to bringing dental, oral and craniofacial technologies to clinical practice. To meet this need, an integrated multidisciplinary resource center has been established as a partnership between University of Michigan, the University of Pittsburgh/McGowan Institute and Harvard University/Wyss Institute for Biologically Inspired Engineering. This NIH/NIDCR funded center, through cooperative agreement U24-DE026915, named the Michigan-Pittsburgh-Wyss Regenerative Medicine (MPWRM) Resource Center supports Regenerative Medicine of Dental, Oral and Craniofacial complex and consists of leaders with clinical, basic science, engineering and business expertise. Its Interdisciplinary Translational Project (ITP) programs and resource infrastructure support navigation through the regulatory process and pre-clinical studies. The goal of the ITP programs is to translate innovations, which address the ongoing clinical need to restore or create healthy functional dental, oral and craniofacial tissues to commercial reality. See https://doctrc.pitt.edu/funded-projects/. About BlueWater Angel Investment Network: BlueWater Angels (BWA) is a network of more than 50 high net-worth individuals and select organizations interested in investing capital in promising companies with the expectation of receiving a substantial return on their investment. BWA’s Mission: “Our goals are to bring together a large network of individuals to boost economic development and job creation, while increasing net-worth.” Its Vision: “We believe the best way to predict the future is to invest in it.” BWA has invested over $18 million to date. See http://bluewaterangels.com. About Biosciences Research & Commercialization Center: Biosciences Research & Commercialization Center (BRCC) is based at Western Michigan University and was established in 2003 with a special $10 million appropriation from the Michigan Legislature as a nonprofit investor, designed to provide seed funding to early-stage companies focused on the Life Science sector. BRCC considers a wide range of life science technologies across all indications, including but not limited to: biotech therapeutics, diagnostics, medical devices, software, agriculture, environmental and analytical services. BRCC also provides growth capital funding to Contract Research Organizations (CROs) and Contract Manufacturing Organizations (CMOs) already servicing and on the market. The economic development focus of the BRCC aims to promote the growth of Michigan's life sciences business sector and collaborates with the state's entrepreneurial resource service providers. See http://www.brcc.wmich.edu/.